Peterborough City is home to two post-secondary institutions. Trent University, founded in 1964, consistently ranks in the top ten of Canada’s undergraduate universities, while it remains a small university, educating 7,000 full and part-time students. Originally housed in turn-of-the-century buildings downtown, the main ‘Symons Campus’ is now located on 1,450-acres of riverfront, rolling hills and woodlands. 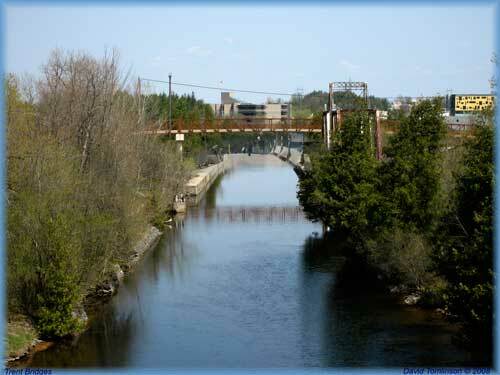 Trent Nature Areas provide an ecologically diverse wildlife preserve as well as 20 kilometers of hiking trails. Situated just north of the city limits on either side of the shores of the Otonabee River, ‘The Head of the Trent’ homecoming event hosts one of the largest one-day rowing regattas in North America each fall, started in 1970, this weekend festival attracts thousands of alumni and their families annually. Serving the community as a social and cultural leader, Trent University is a significant employer contributing approximately $190 million to the regional economy on an annual basis. Trent's Board of Directors recently granted approval for the construction of a new 49,000 square foot health sciences facility which should be completed by September 2010 and will house the Nursing, Psychology and Anthropology programs. Trent University was the first university in North America to launch a department dedicated to the study of Aboriginal Peoples. Established in 1969, the Department of Indigenous Studies is now home to Canada’s first venue dedicated Indigenous theatre, NOZHEM. The Indigenous Performance Program was started in 2003 in order to nurture and promote Aboriginal knowledge and oral tradition. Nozhem is the Anishnaabe name given to the First People’s Performance Space. It means “the place of the bear” and reflects the bear’s nurturing role. This unique multi-purpose teaching and theatre space has flexible seating for 100 people and is utilized for performances, ceremonies. Located in Peter Gzowski College, Trent University, undergraduate courses are offered in Indigenous theatre, Indigenous dance theory, and Indigenous dance performance. The space functions as the summer home of Toronto’s Centre for Indigenous Theatre, offering post-secondary performing arts training to students of Aboriginal ancestry from across Canada. Fleming College, formerly Sir Sandford Fleming College was established in 1967, and has two primary campuses within the city of Peterborough. ‘Sutherland Campus’ is located on Brealy Drive in the city’s west end, and has recently undergone a massive expansion. ‘McRae Campus’, housed in a renovated textile mill, is located downtown on McDonnel Street. An articulation agreement between Fleming College and universities throughout Ontario, Canada and internationally, enables their 3,700 full-time students to pursue joint degree programs and applied learning experiences. The practical and diverse training provides graduating students that are skilled and knowledgeable, and make a major contribution to our businesses, industries and to region’s economic growth. Fleming’s new technology wing is attracting more students to this campus. The additional 50,000 square feet of lab space is being used to teach telecommunications, automation, robotics and computing, as well as futuristic home and building automation. Students work on industrial and technology projects, giving local business and industry access to applied research while students gain valuable experience and increased employability. The Peterborough Sport and Wellness Centre was created in partnership with the City of Peterborough and Fleming College. It houses a triple gymnasium, a three-lap walking track, an aerobics studio, a cardio and strength training centre, workout rooms, fitness centre, an aquatics centre with a five-lane leisure pool, therapy pool, whirlpool and saunas, a youth room, as well as multipurpose and meeting spaces. The city’s Recreation Division offers over 500 programs at the centre each week in addition to services and special events for individuals of all ages. Sutherland Campus is also home to Fulford’s Dining Lounge, a learning laboratory and teaching restaurant for foodservice, cooking techniques and bartending. Indulge and reserve a table at this 6th floor facility, enjoy a meal of culinary delights. Fleming’s ‘Institute for Healthy Aging’ is conducting applied research into technologies designed to serve the needs of seniors and improve the lives of our aging population. An innovative partnership has been created between the college and the St. Joseph’s Care Group who are building a long-term care facility on campus. Providing additional space for research and academic facilities will enable students to acquire professional development through applied work placements. This unique initiative will support healthy aging within our community. Peterborough’s business community is supported by a loyal and diversely, skilled labour force and progressive industry-oriented educational facilities. The Greater Peterborough Innovation Cluster is an initiative focused on commercializing regional DNA and related life sciences/ forensic innovation. Founded on a multi-party collaboration between Trent University, the Greater Peterborough Area Economic Development Corporation, Sir Sandford Fleming College, the Ontario Ministry of Natural Resources, and private sector representatives. The Cluster enjoys widespread citizen support throughout the greater Peterborough region.